Anna Mieke has shared the stage with many artists, supporting the likes of Lisa Hannigan, Martin Hayes, This Is The Kit, Rozi Plain, Lankum, Gyda Valtysdottir (mum), Rachel Sermanni, Sarah Neufeld (Arcade Fire), and Ye Vagabonds, while sharing the stage with David Kitt, Landless and Rosie Carney. From performing in larger venues such as the National Concert Hall and to opening the inaugural RTE Radio Folk Awards in Vicar Street, to underground caves, to manor house ballrooms, to tiny cafés and bookshops, to the precarious ruins of a church, to forest hideaways in the hills of France, Anna Mieke has shared her songs in a curious combination of spaces. 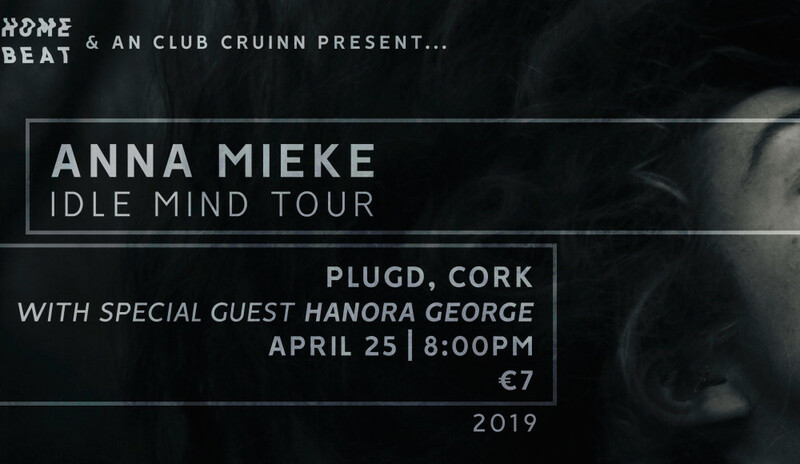 Following on from the release of two singles, Arbour and Keep It Whole in 2018, Anna Mieke will independently release her debut album Idle Mind on 26th of April 2019.